Joe had acquired an interest in fencing from the movies and TV. He got actively involved in 1999, along with a couple of his friends, by taking fencing classes sponsored by the Pikes Peak Fencing League (PPFL) here in Colorado Springs. He eventually joined the PPFL club which gets together twice every week to practice and hone their skills by bouting and teaching each other. Over the last several years Joe has progressed to the point where he is now an instructor for the fencing classes offered by the PPFL. In the Spring of 2002, Joe was approached to serve as an instructor for a newly formed Fencing Club at University of Colorado at Colorado Springs (UCCS). Joe and two of his buddies, Jack and Ben, now teach fencing classes every sunday evening to about 20 club members. 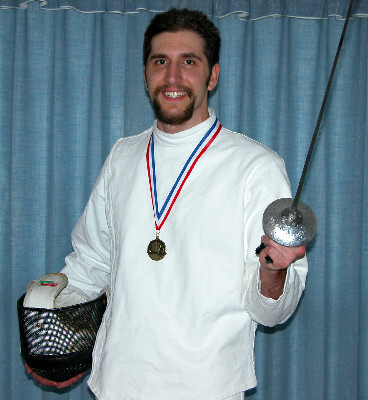 On occassion, Joe has attended and even competed in several fencing tournaments here in Colorado. Although, he prefers the friendly, less competitive, atmosphere provided by his now close friends at the PPFL club gatherings. We will be adding sections of pictures for various fencing tournaments and PPFL events that we attend. We look forward to sharing them with you. The fencing events below are listed from the most to least recent. Click on the event icon or title to see the Picture Index Page for that event. 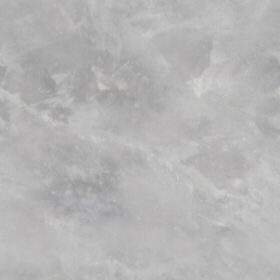 Please be sure to click on the pictures on the Picture Index Pages to see the Slide Shows. The North American Cup (NAC), sponsored by the U.S. Fencing Association, was held in Denver this year. It attracts fencers from all over the world. Joe placed in the upper 3rd overall in the tournament, ranking 42 out of 128 foil fencers in his division. The Colorado Fencing Academy, located in Arvada, Colorado, hosts a Colorado Cup Event each year. It attracts fencers from all over the State. Joe placed 3rd overall in the tournament, and won a bronze medal. The Falcon Open Fencing Tournament is held each year at the U.S. Air Force Academy. It attracts fencers of all capability levels from all over the country. This year Joe, along with three other of his fellow PPFL members, decided to compete in the tournament in their weapon of choice - the foil. Joe placed 3rd overall in the tournament out of 31 foil fencers. The Toth Memorial Fencing Tournament is held each year at the U.S. Air Force Academy. It attracts fencers of all capability levels from all over the country. This year Joe, along with two other of his fellow PPFL members, competed in the tournament in their weapon of choice - the foil. Joe finished in 8th place out of 27 fencers in men's foil, thus earning a C ranking. The Toth Memorial Fencing Tournament is held each year at the U.S. Air Force Academy. It attracts fencers of all capability levels from all over the country. This year Joe, along with three other of his fellow PPFL members, decided to compete in the tournament in their weapon of choice - the foil. Joe won all 5 of his qualifying bouts for placement in the Direct Elimination rounds. He won his first two DE bouts, but was eliminated in the third. He placed 6th over all in the field of 35 competitors.